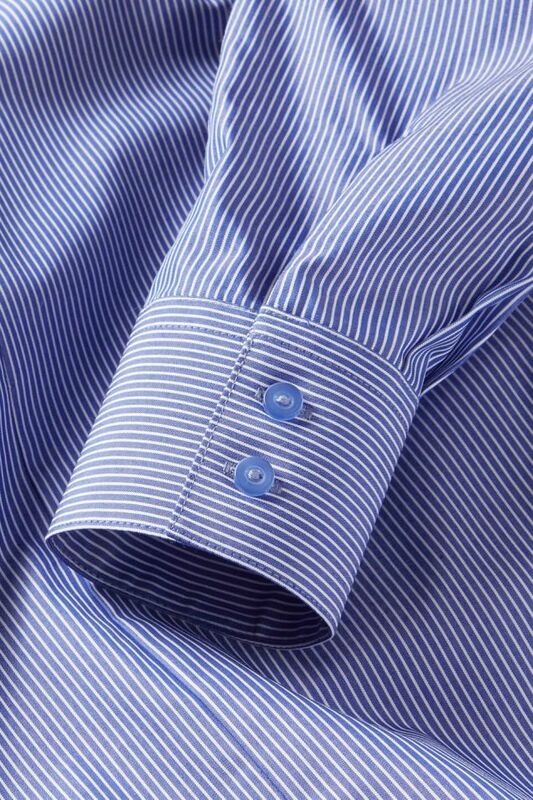 Disley long sleeve Business fine stripe blouse. Perfect for work and formal/casual occasions. Product Code: Ailish LL145 (LS) dark blue/white stripe, LL146 purple/white stripe.